As much as we’d all love to be spending our week heading outdoors on wild and wonderful adventures, everyday life seems to have other ideas, what with work and the like. But you can still get an adventurous fix from the comfort of your own home through adventure films and television programmes. But what if time’s not on your side? Well in that case you’ll want to sit down and watch some of the best adventure travel videos on the internet, as selected below. Bite-sized inspiration that is perfect for those spare moments you get throughout the day. A heartfelt attempt to turn back time, re-live the past and discover the future, through one man’s love of wild river journeys. A son travels back in time to learn about his father by re-creating an expedition his father, Dean, led by pack-raft in the 1970’s, down the Colorado River in the Grand Canyon. Alex Strohl is one of the biggest names on Instagram with 1.7 million followers. This film takes a more intimate look at his life, work and loves against the dramatic backdrop of Alaska. A man and his dog – on the road – for better or for worse. The film follows adventure photographer Ben Moon as he journeys through life along the Oregon Coast, faces cancer and ultimately, comes to terms with saying goodbye to canine companion, Denali. A time-lapse project made up of 6,870 photographs, shortlisted from a possible 50,000. Zach Rogers has spent three years creating this stunning time-lapse video of mesmerising landscapes from across America. Feast your eyes on this star-studded photographic spectacle for a few precious minutes. Gritty, emotive and dreamy all at the same time – this critically acclaimed short film follows surfing cinematographer Mickey Smith as he explores his passion for the beguiling wave. An enchanting film following Finnish free diver Johanna Nordblad as she plunges into the freezing Arctic Ocean, beneath the vast sheet of ice that covers it. Johanna holds the world record for a 50m dive under ice and discovered the sport whilst recovering from a downhill biking accident that almost took her leg. 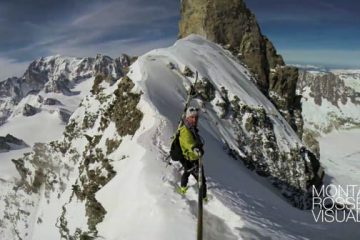 Ice Call is a freeski movie of Sam Favret as skies incredible lines along the sculpted ice landscape of the Mer de Glace, in the Mont-Blanc mountains (France). This films follows the day to day lives of six Telluride avalanche rescue dogs; Wiley, Bee, Doris, Sadie, Mona and Stella, at Telluride Ski Resort, as they train to rescue avalanche casualties across the mountain. The film was recorded exclusively on GoPro cameras. 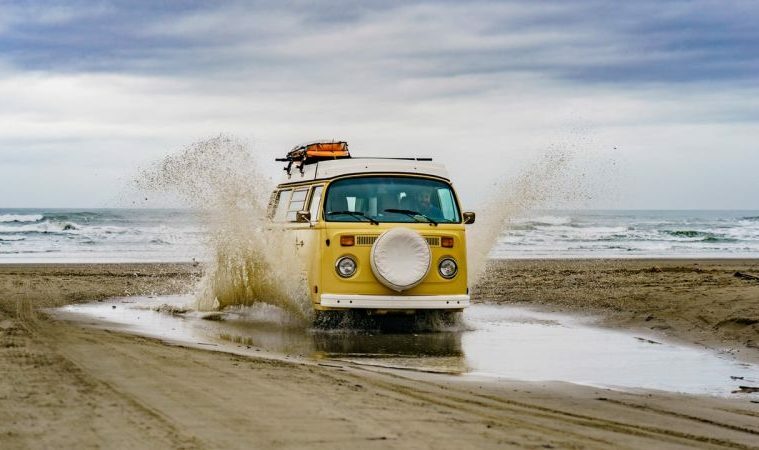 The film follows David Norris, a professional American Baseball Player and his life on the road in-between seasons spent surfing, exploring and adventuring. Not many people are able to live in a place as beautiful as Yosemite, but Andrew Upchurch describes life beneath the peaks of El Capitan, Half Dome and Washington Column. 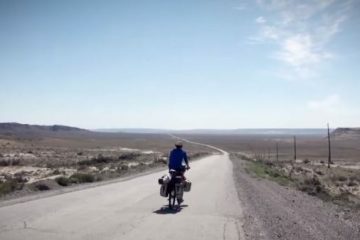 Jedidiah Jenkins rides his bicycle from Oregon to the southern tip of Patagonia. Friend and filmmaker Kenny Laubbacher joined him for a month and a half to pose the question – why? Many people turn to the outdoors to find peace. Paul Stiffler has taken on the role as “Trail Angel” on the Appalachian Trail to help thru-hikers on their 2,186-mile journey and to help himself find a new sense of purpose in the process. This six-minute film explores Paul’s relationship with the trail and how it has helped him find peace amid his noisy life. 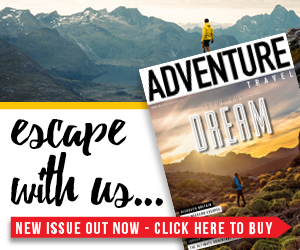 In the mood for some more adventure inspiration? Check out our collection of incredible adventure travel videos to keep you going until your next trip. 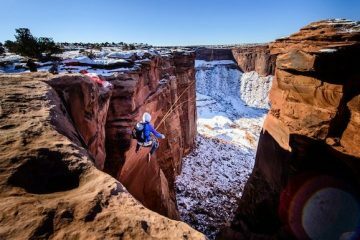 Watch: Is this the world’s most insane rope swing?